(Rick Egan | Tribune file photo) Lt. Gov. Spencer Cox gives a speech at the Romney headquarters in Orem, on election night, Tuesday, Nov. 6, 2018. For $2,000 — or $2,500 for a couple — Utahns can take part in a January fundraiser at the Little America Hotel for Lt. Gov. Spencer Cox, hosted by Gov. Gary Herbert. An announcement paid for by the group “Friends of Spencer Cox” does not specify the purpose of the donations, but Herbert has stated that he will not seek re-election in 2020 and Cox is seen as one of the most likely contenders for the governor’s chair. But Jason Perry, director of the Hinckley Institute of Politics, said talk of a Spencer Cox gubernatorial run has gotten so loud in political circles that it can no longer be described as a secret. The fundraiser, Perry said, is a “neon sign” that Cox is getting ready to announce his candidacy. 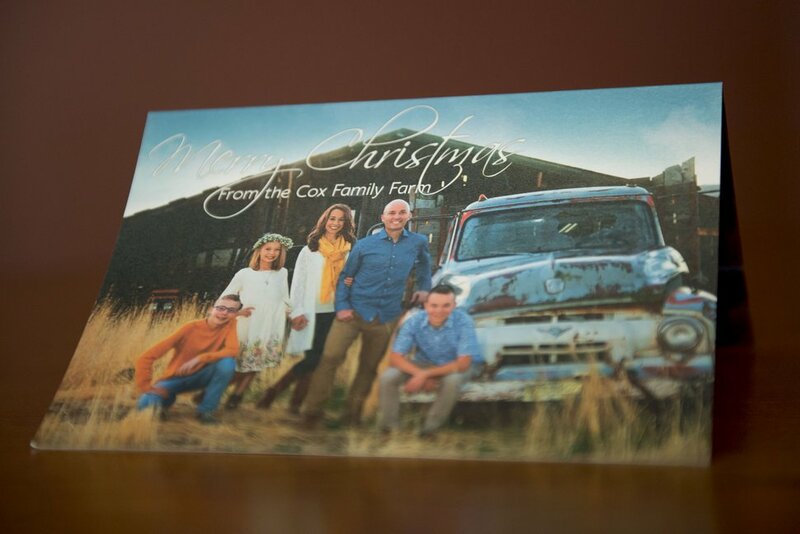 The fundraiser announcement follows a Christmas card sent to Utah’s political community and members of media, showing Spencer Cox and his family on their farm in Sanpete County. That Christmas card was paid for by Governor’s Leadership PAC, Herbert’s campaign fund that is used for his own political activities and to support the campaigns of other candidates in the state. (Jeremy Harmon | The Salt Lake Tribune) Lt. Governor Spencer Cox sent out this Christmas card. Herbert was unavailable for comment on Thursday, and Spencer Cox’s staff directed questions to Jon Cox. Jon Cox said “Friends of Spencer Cox” has not been formally established as a political action committee, but is instead an extension of Spencer Cox’s political account. That account will cover the expenses associated with the fundraiser, Jon Cox said, and will receive the proceeds from the event. “This isn’t like a separate PAC or separate organization,” Jon Cox said. 'It’s just his personal campaign fund." During an episode of The Tribune’s “Trib Talk” podcast in September, Cox said he was seriously considering a run for governor in 2020. Polling in October by The Tribune and Hinckley Institute of Politics showed former Congressman Jason Chaffetz leading the pack of potential Republican candidates for governor, followed by Spencer Cox. While Chaffetz' support was the highest overall, a July poll by The Tribune and Hinckley Institute found that unaffiliated voters preferred the lieutenant governor. Other Utahns who have expressed interest or are expected to be considering a run for governor in 2020 include U.S. Rep. Rob Bishop, who was re-elected to the House in November but has said the 2018 election would be his last; Utah Attorney General Sean Reyes; outgoing Utah House Speaker Greg Hughes, and businessman Greg Miller.